Pre-orders for Kanye’s new LP popped up on iTunes and Yeezy’s own site, but later disappeared. Thanks to Jean Touitou (a close friend of Mr. West), we now know why. Jean tweeted the ad you see above yesterday afternoon, which explains why all links to pre-order Yeezus disappeared. The pic also gives everyone another look at the album’s packaging. One noticeable difference is the missing gold bust, featured here. The album may hit digital retailers before stores (similar to WTT), but only time will tell. 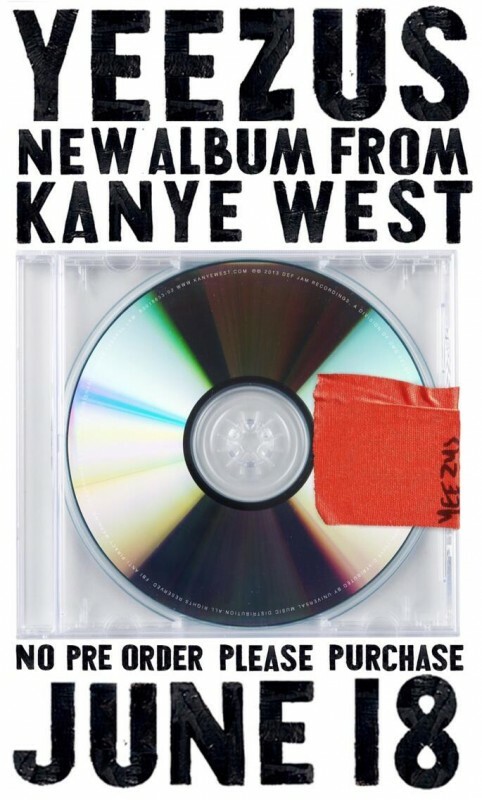 Yeezus drops June 18th.